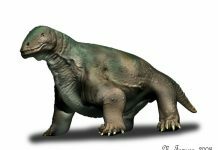 Dimetrodon is an extinct synapsid which lived approximately 295 million to 272 million years ago during the Permian Period. It was first discovered during the 19th century and was named by Edward Drinker Cope in 1878. 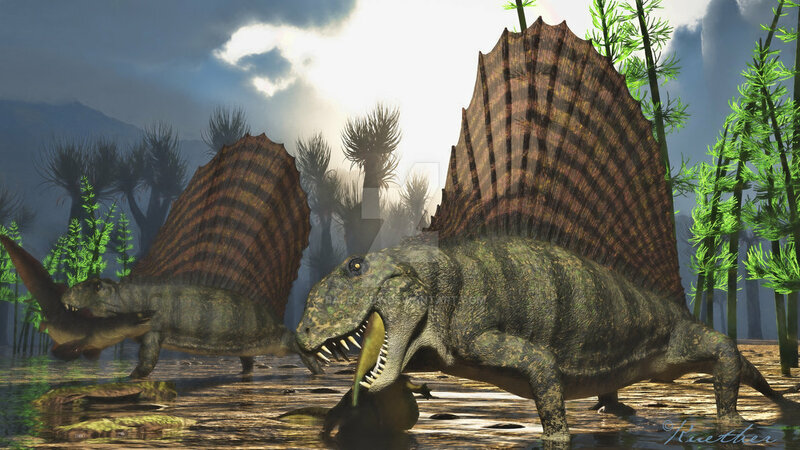 Dimetrodon, which means “two measures tooth”, had two different kinds of teeth in its rather large skull. The first set of teeth are designed to capture and hold prey. The second set of teeth were used to shear flesh from bone. 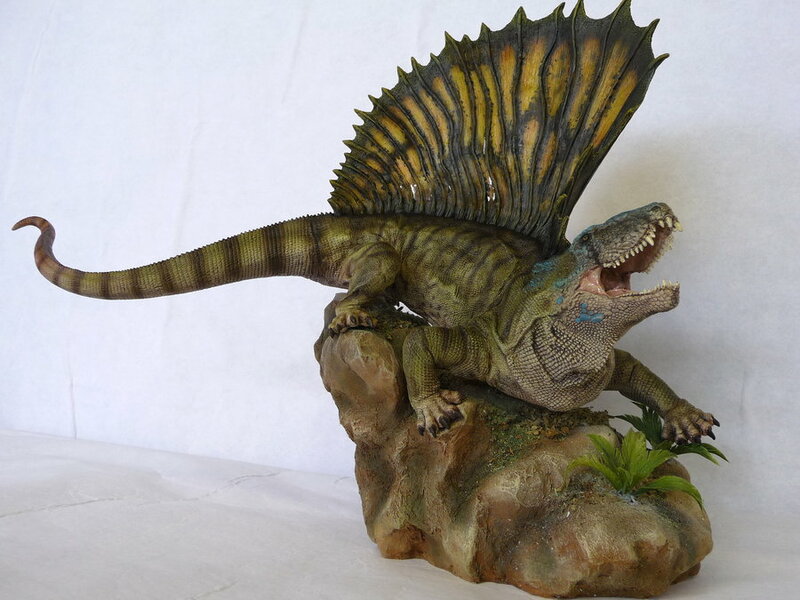 Judging from its teeth and jaw design, it’s quite obvious to paleontologists that Dimetrodon was a meat eater. 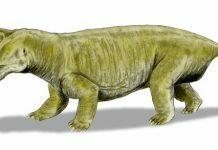 This animal’s fossils have been found all over the world. They have been found all over Europe, in Texas and Oklahoma in the U.S and in parts of Nova Scotia, Canada. 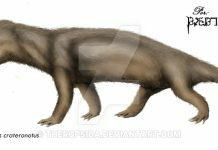 It would appear that this was a very successful and widespread animal during its 20 million year span. 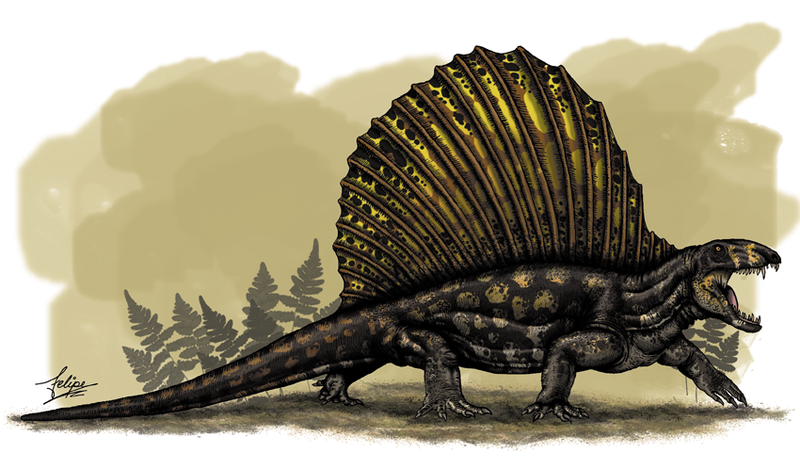 Although Dimetrodon pictures make this animal look like a dinosaur, it was, in fact, a synapsid – which is a type of reptile. 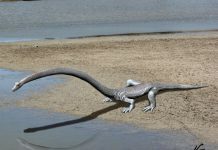 It was about 15 feet long, weighed around 550 pounds and walked on all four legs. 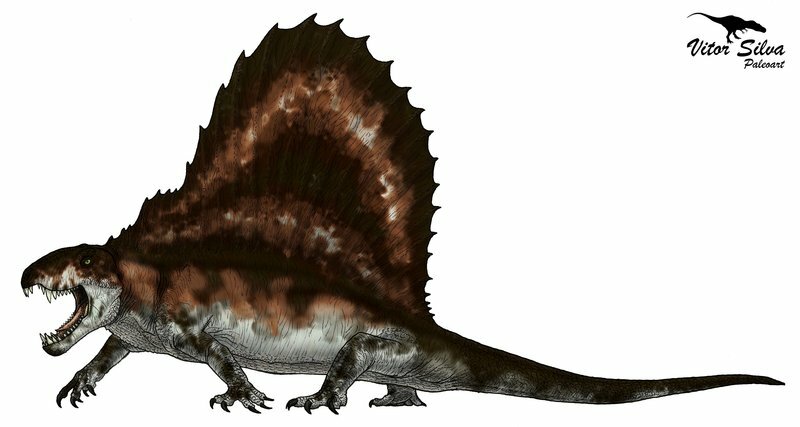 It had an enormous sail-fin on its back and had a long tail. 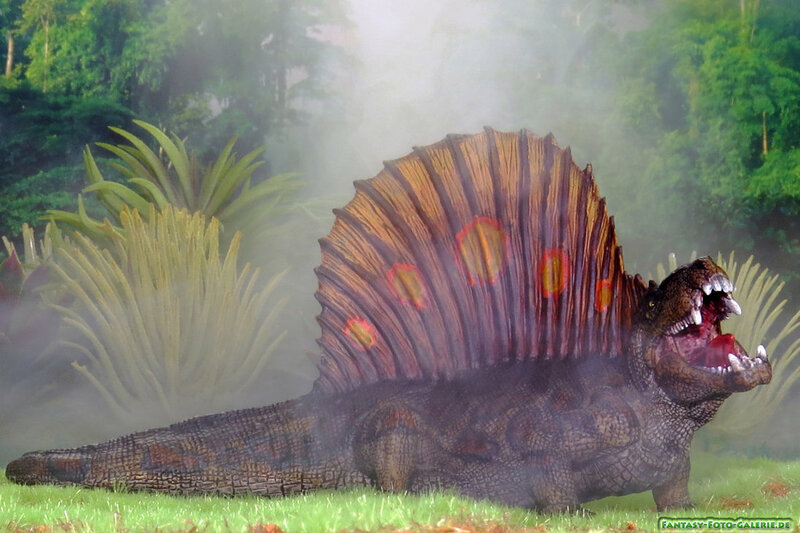 One of the most interesting facts about Dimetrodon is that paleontologists believe that the enormous fin on the back of this animal was used to regulate temperature. During the day, it is believed that it would have absorbed heat from the sun. Heat that would slowly be released at night when it got colder. 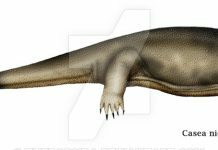 However, that is not the only theory about this animal’s sail-fin. 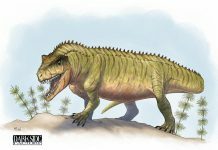 Other paleontologists have theorized that it could have been used to intimidate other animals or that it was used during mating. Of course, any or all of these 3 theories may be true.